No matter what camera you're using, you have to match your chosen aperture to a shutter speed that will provide adequate lighting for your photo. You can do this with an external spot meter, but since all modern cameras are equipped with a light meter, your best bet is to use the camera body. Open-aperture (a.k.a. when you're looking straight through the lens and don't have to stop the lens down) metering with the K-mount system started with the KM/KX/K1000/K2. On the KM/KX/K1000 cameras, you have to always manually set both the shutter speed and aperture. In most cases, you'd be setting the shutter speed first, so then you'd need to adjust the aperture until the lighting were correct. This is indicated to you by the camera by an analog arrow within the viewfinder. Once the arrow reached the middle (KM/K1000 - on the KX/K2 two needles must be made overlap), you'd be good to shoot! Now let's jump to the digital age, or how you'd likely be doing this. Instead of using the arrow, you'd be using the digital light meter shown in item 10 above. (positioning varies slightly by camera body, K10D's viewfinder shown above). The green bar is centered in the middle is analogous to the K1000's arrow being centered. Getting this light meter to activate for you might be the trick part. First off, make sure you set your camera to M mode (or, if you want the camera to automatically set the shutter speed for you and not have to worry about anything else, just use Av mode :P). If you're using an auto-aperture lens (A, F, FA, DA, DFA, FA J, DA L lenses), then you can simply adjust shutter speed and aperture on your camera using the scroll wheels. If not (for M, K, and screwmount lenses), then you FIRST have to set the desired aperture using the lens's aperture ring, THEN stop the lens down to meter (by pulling the on/off switch past 'on' so that it stays at the position indicated by the aperture icon and then adjusting the shutter speed so that the light meter is centered OR just hit the green button and the camera will adjust the value automatically). Also, make sure that in the menu, you've allowed the aperture ring to be in a position other than 'A'; this is a custom function. Press the shutter button halfway down and you should see the light meter come on. You'll want to stop the lens down to get a true reading, unless you're shooting wide-open, of course. Just to reinforce the good advice found on this forum, a M42 screw mount lens (such as my lovely SMC Takumar 50 f1:1.4) works perfectly on my K5 (with an adaptor, of course) in either Av or TAv mode. The apeture control on the lens needs to be set to manual (rather than auto). The camera then meters on the chosen f stop. The advantage of using these modes over the M mode is that auto ISO is available. By the way, my K5 meters far more accurately and consistently than my K-x when using manual lenses. To enable stop-down metering using the green button the setting "Green button in TAv & M" has to be set to "Tv Shift" (default is Program Line). 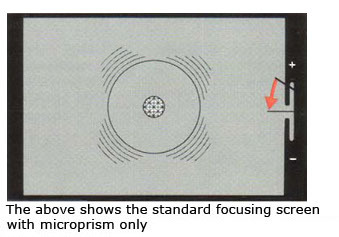 Neither the manual nor the support topics on the Pentax site mention that the "Optical preview" activates the EV bar. I'm guessing optical preview works in a similar manner on all the DSLRs. What about the K-01? could someone spell out the procedure for the K200D body with screwmount lenses? I've never had a digital camera body before; long time with purely manual no-electronics cameras. So I find this multiple-different-buttons, with different labels or names in different Pentax models, very confusing as an aging beginner. When using a K-30 in TAv mode, can manual light metering tell you (after pressing the shutter button halfway down) if your current aperture and shutter settings will over or underexpose the photo? I haven't been able to a discussion of manual metering in the manual. Can anyone explain how to manually meter on an *ist D camera with an older SMC M lens?? Thanks for all your help everyone. We just got back from errands and the answer was waiting for me. Enabling the custom aperture setting did the trick. After dinner I get to take the Vivitar out for a drive. Woohooo! On my K-50 I need to put the ISO-setting to manual (single value) otherwise it won't go into M mode and I can't meter with the green button and the lens won't stop down when shooting.